Novel plant architectures and new canopy management techniques have nearly doubled the yield of Envy™ apples and improved the quality of Zespri® SunGold Kiwifruit. A Plant & Food Research team in Hawke’s Bay have optimised canopy management and tree architecture of the ‘Scilate’ cultivar, marketed as Envy™ apple, to enhance the efficiency of plant function and drastically increase the harvest index (the amount of fruit dry weight produced relative to the total dry weight of a tree). They applied artificial spur extinction, a chemical-free crop load management technique, on trees to reduce the number of floral buds in winter in order to better allocate carbohydrate and nutrients during growth to the fruit bearing spurs. “The results have exceeded our initial expectation,” says Dr Ben van Hooijdonk, a member of research team. Principles developed from apple were applied to kiwifruit in Hawke’s Bay and Te Puke. The team applied recurrent lateral pruning to ‘Zesy002’, commonly known as Gold3 and marketed as Zespri® SunGold Kiwifruit. This method aims to reduce the pruning intensity of vines to promote cropping on short shoots of low vigour called spurs. Results to date have shown that this new pruning approach maintains yield. Added benefits include reduced winter pruning due to less shoot growth, more consistent fruit dry matter content, and earlier fruit maturation. The apple study is part of the Future Orchard Planting Systems, funded by the New Zealand Ministry of Business, Innovation and Employment and co-funded by New Zealand Apples & Pears Incorporated. The technology is now in the trial stages in commercial Envy™ apples in New Zealand, the USA, the UK and France as a part of Plant & Food Research’s Growth Fund with co-investment from T&G Global Limited. 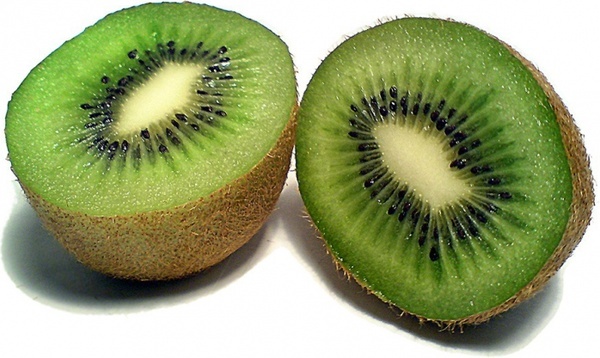 The kiwifruit studies were funded by Plant & Food Research’s Kiwifruit Royalty Investment Programme and Zespri International Limited. Recurrent lateral pruning will soon be trialled within commercial Gold3 orchards in New Zealand.